Welcome to the 2017 Haywood Noram Westerns at Whistler Olympic Park in the beautiful Callaghan Valley, the site of the 2010 Winter Olympics Nordic events. Westerns will run concurrently with Teck Coast Cup #2 on January 21 and Teck Coast Cup #3 on January 22, in addition to the other events on January 20-22. Click on the button below to register as a racer or coach. Click on the links below to see photos from each day of the event. Photos can be purchased directly from that site. The event closed today with the team relays. This was such a perfect finish to the weekend as the individual pressure on each racer is slightly eased and it is so touching to see all the team members working together and supporting each other. On top of that, the club rivalries are both intense and playful as many of these skiers have known each other from a very young age! A huge thanks to all our volunteers and sponsors for the making the event possible! Click here to see all the sponsors. THANK YOU! A little snow and a lot of skiing! The Teck Coast Cup #2 joined the Haywood NorAm Westerns for today's interval start classic races. Not only did we have skiers aged 5 and older but a zebra and dinosaur were reported to be tearing up the courses! We had a fantastic first day of racing! The BUFF Sprints were a great success. Sea to Sky MLA Jordan Sturdy even came by to present medals and our much appreciated grant cheque. Click here to view/print the Technical Package for 2016/17. Click here to view/print the Race Notice for the Westerns / Coast Cup 2 & 3. 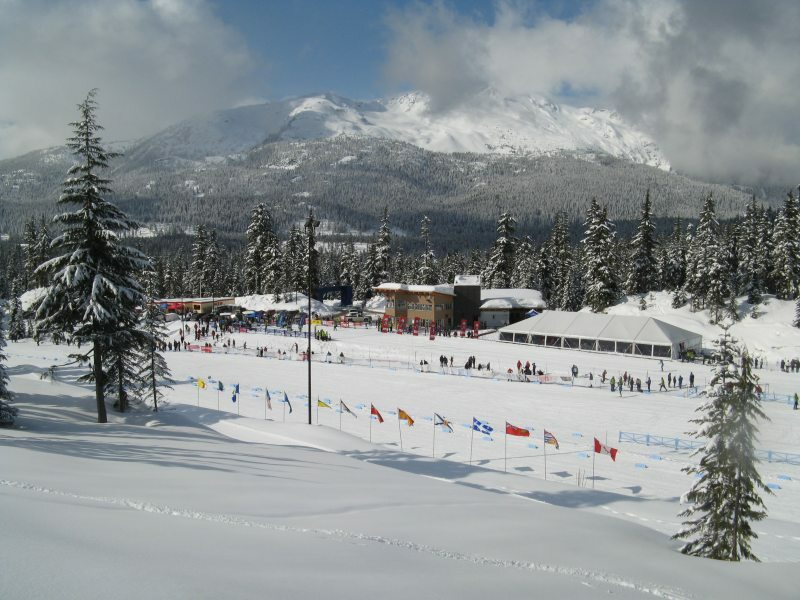 This year's Haywood NorAm Westerns will include a team relay event on Sunday, January 22. This event was added to the format to recognize a request by athletes at the CCC High Performance Committee meeting to have some variety and fun in their racing calendar. In order to have meaningful competition, and encourage the creation of as many official teams as possible, points for the relay will be awarded on a division basis. Official teams are three athletes, same gender, same division and same category. Unofficial teams may consist of athletes from different divisions, same gender but will not be eligible for awards, or prize money. The manner in which points are calculated is set out in Appendix C of the NorAm Technical Package. The intention of awarding divisional points in the relay is to have the races count for points, encourage interaction between clubs, and create both teamwork and competition at the event. Racers are encouraged to register if they want to participate as teams can be created up until Saturday, January 21 at 12 noon as per the Race Notice. Athletes may race up. The jury may combine categories if the field size is considered too small for meaningful competition. There is a Teck Coast Cup event for racers in the Atom, Pee Wee and Bantam categories, as well as Masters. The Teck Coast Cup calculates points based on clubs. All persons requiring access to ski trails are required to have a pass. Volunteers that are required to ski as part of their job do not need to purchase trail passes; they will be supplied. Information on sponsorship is on our Sponsors page. Please contact us if you are interested in a sponsorship opportunity.